Are the tapes large or small? Low Band, Hi Band or SP? I may have a portable machine but it would only play the small camera tapes. I also have full-size machines but they are not leaving my house! 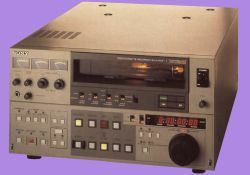 I am looking to hire a Umatic player to transfer my tapes to PC. I guess 1- 3 days max. Ideally you should get a Sony AV-340CE powersupply, make sure you get one with a XLR rather than a DIN plug. Or if you want to use the Ebay cable, you will need a 12V 2.6A DC supply. remove pinch roller,sandpaper the shine off,wash with methylated spirts and replace,see what happens,check tape for tightness also,rewind/fast forward couple of times. Have three working models plus one for parts for disposal,at present converted to s-video but easily reverted to composite although s-video is better quality. Does anyone have any EPK's from older movies? Back in the 80's, I believe they were all on U-Matic. Was looking to see if anyone had any leads on them. Here is perhaps the best Low Band player in the world (PAL). Also with a Y / C output of course. If and when the others do not get played back your tapes, we can. Comments are welcome. First step would be to thoroughly clean the threading path. Most likely problem is a build-up of dirt that stops the threading ring from completing its' cycle. If it doesn't activate the switch at the end, the machine goes in 'tape protection' mode and takes tension off the tape. Have a try and let us know if you had any success. 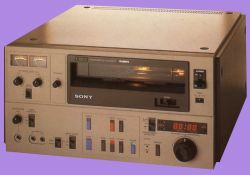 The Sony VO-5850P has developed a tape transport fault so that when inserting a cassette into the recorder the tape is at first stretched out round the record head in the normal way. The tape then almost immediately goes slack. The recorder does not go into the standby mode. Play, record, search, fast forward, fast rewind do not work. The cassette cannot be ejected. I am advised by a video repair engineer that this is due to the failure of a component on the circuit board that controls the tape transport and that as it is impossible to identify the component that has failed the best remedy is to replace the entire circuit board. However the Sony VO-5800 /5850 series are obsolete in the UK and circuit board spares are difficult to find. Advice welcome. I have recently purchased a VO-9800P and it seems the machine is stuck in SP/High Band mode. When I place a Low band tape into the machine it loads fine and plays but the SP/High light remains on and there is no video signal. I have read that there is a pin that falls into a slot on SP tapes that identify the tape type. Could this pin switch be faulty? Is it an easy fix? Or is there a manual override to switch the machine between High and Low band? I just sold my Sony VO-5850P with a specially built switch for playing and recording high band and low band tapes. It also had a TBC. The selling price was � 425, and it was in perfect working and cosmetic condition. Does anyone in this forum know the average market price of such a machine today? I also want to sell my VO-9800SP recorder, which is in good condition. Bids are hereby invited! There you will find everything you need to know how U-matic tapes are digitized. Y/C-output, Sticky-Shed Syndrome etc. Sorry, some of the pages are still in Finnish. Your best bet is to have the tapes transferred to DVD or something. Tapes from the 80's are rapidly reaching their 'end of life' point so even if you bought a machine you would only get some joy out of it. And that is if the tapes are still playable which all depends on how they were stored. It doesn't say where you are based but if in Australia, I can have a look at that. Otherwise search for video digitising services in your area. HI. I have a bunch of HUD tapes from my time flying the F/A-18 in the mid to late 80's. They are 3/4" U-Matic tapes. I want to watch them again but can't find a working DVR for this format. Well, I can but a grand? Any ideas? All I need to do is play them, not record anything. As I have been archiving my tapes using a VP-9000, I have noticed that at times the dolby noise reduction turns on and off. I have tried cleaning the audio and video heads, but some tapes still play this way. Sometimes the audio flickers in and out of dolby, while other times the tape will play a few minutes of either dolby or non dolby. Is there anything else that could cause this or is it just the quality of the tape? Is there a way to permanently turn off the dolby so that it constantly does not flick back and forth between noise reduction and non-noise reduction? Would cleaning the tape help with this problem? If so, any procedures for cleaning umatic tapes? My experience with umatic and beta was mostly as VT operator and some basic editing, so I do not have much experience in machine maintenance. I think it is high time you started thinking about digitising the collection. Temperature is only part of the problem, humidity is a real killer for magnetic tape. And these tapes are now well past their 'use by' date. Find a reliable professional company to do the transfers for you, the tapes are likely to need some preparation to minimise the risk of severe damage due to 'sticky tape' syndrome. Thanks very much for the reply, however I found someone that has loaned me their very clear and working VO-9000 deck to digitize my tapes. As I could not find anyone locally that would service it and my mechanical / electronic skills are very limited, I decided to dispose of the unit. I have kept most of the boards, power supply and rack ears which I may put on up ebay later. Right now I just wanted to get rid of the 100+ tapes I have been storing for a few years now. They are from an old cable access channel that I worked for a few years ago, and they went to throw them out. I tried to save as much as I could while I was there, but I'm afraid that the last tapes that are still there will fall victim to the garbage eventually without being preserved in some way. What the machine needs is cleaning and lubrication. It is not a hard job, albeit time consuming, but will require some basic technical skills. If unsure then take it to a professional repair shop. From the description it looks like the machine doesn't fully complete the threading cycle and as a result doesn't activate the switch at the end to tell the machine controls all is well. You'll have to check the whole threading ring, clean it and remove any hardened or sticky grease. Make sure you check the contact switch and that it is activated by the threading ring, that last 0.5mm is critical! Sorry. I accidentally posted this in the Betamax Chat. I have a non-functioning BVU-870 U-MaticSP deck. It powers up, however when I put a tape in, it sticks in the door and has to be given a bit of a push to go in. When it goes in, it threads half way. If I manually engage one of the latches it will complete the threading. That is as much as I have been able to get it to do. When I press any buttons on the panel, the buttons light up but nothing happens inside the machine, other than the eject button which will eject the tape. Does anyone know what could be the issue here? It looks to be a complete machine. I have all the boards, however I do not know if they are working and I am not very technical in a electronics way. I was given the deck to do some 3/4" tape dubs, however it looks like I will be throwing the machine out and looking for a working one, unless it is a cheap or easy fix. Can jou help mi wear a find belts , pinch rollers parts vor Sony U-Matics for VO-8500 and VO-8550 recoders?. for sale two fully working vo 5800, converted to s-video but easily converted,�50 each,plus two for spares,collect from oxford. 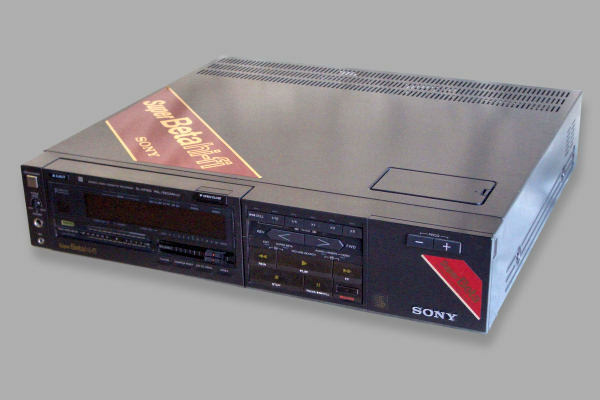 Looking for a working + good condition Sony VO-9800P or similare Pal machine that can play back lo-band, hi-band and sp. Please contact me at andreas at filmtek dot no. Thanks! I have lots of new unused Umatic tapes if anyone is interested. Please drop me a line andreas at filmtek dot no. The U-Matic chatpage is back, unfortunately recent posts have been lost. Hi there has anyone any CVC video cassettes or know where I can get some, I recently purchased everything from an old duplication distributors from back in the 80's and the machinery and lots of other gear was in with this lot, also the CVC video but only a handfull of tapes. Any info would be greatly appreciated. Hello all, I recently acquired a VO-9850. The hours meter as displayed on the front panel reads over 15000, which confuses me because it's documented to go only to 15000. How should I interpret this display? The VO-98** series will play all three U-matic formats, low, high & SP. There are no mods for High Band machines to make them play Low Band.If you only have Low Band tapes, have a look at the 58** or 7*** series, they play Low Band only. We have a Umatic VO 7630 for sale. � 200 o.n.oWe are located in central London (W1), call 020 7494 6300 to arrange collection. I've got a variety of umatic machines that I'm happy to sell, I've got players and recorders. Im London based, they all work or if you need parts from them that would work to. Is any one selling any used u-matic tapes i'm after allsorts but preferably tapes with documentaries, continuity or schools and colleges programmes. I have a Sony U-Matic Cassette Player VO 5800 PS.Help! Any advice welcome!I obtained it around 1983, but it has had only about 200 hours use. It worked fine until about a year ago. Now when I insert a cassette, only an inadequately small loop is drawn out. (I've tried several cassettes, including a new unused one). When the fast forward or rewind buttons are pressed, the mechanism clicks and the head drum revolves, but the forward or re-winding do not run.On 'Search' it makes the usual rattling/tinkling sound briefly when the knob is turned to either side, but then the sound stops. When I change the direction of search buttons the spinning flywheel changes its direction of spin. If I switch the mains switch on the VCR on and off rapidly when the inadequately small tape loop has formed, the threading ring motor comes on for brief instants to inch the threading ring round step by step until I can get the tape loop big enough for the forward and reverse to work. But the ring motor will not come on to drive the ring round to the play position. The threading process stops far short of completion. I've renewed all the drive belts, but with no improvement. I should be VERY grateful for any suggestions towards repair.And/or reference to where I might obtain a copy of the service repair manual. Hey Everyone I have alot of u-matic machines I need to get rid of....Was wondering if anyone is interested in buying these machines?? To name a few here are some model #'s....VP 7020 I have a few of these....VP 5000 I have a few of these as well....SLO 323 have a couple.....I also have Wegener Communications Mainframe new in a box....I have alot of machines in this broadcasting era...If anyone is interested shoot me a offer....Would like to get rid of everything!! Can someone help me find the avaliability of sensor bulb, this is a stanley 23Volts, 3Watts. I've just brought an 5850-vo brillant machine but if i cannot resolve issues with the 2860p it can go for spares or repairs very soon. Regarding 'Error 20'. The manual tells me this is a System Error and that there will be a suberror shown on the monitor lower right corner.If you can post the suberror code I may be able to give more information. I have a VO-9800P machine that has two separate problems. One. It's giving me an error 20 on eject every time. I don't have the service manual for this unit but others are telling me it's a reel motor problem. Two. It has a huge skew error. All skew mechanisms appear to be OK but again, no service manual to check for tolerance. Hi Does any one have a VO 9600 PAL that they would like to sell. Hi I am currently looking to buy an alignment tape, jigs and U-Matic manual for a VO 9800 NTSC and PAL machine. Am looking to purchase a U-matic 9000 series player. Am based in Sydney, Australia. If you have one or know of one for sale, please contact me on (0412) 016 568 or by replying to the post. Am looking for a 9000 series U-matic player. Am based in Sydney Australia. If anyone has one for sale or knows of one for sale, please contact me on (0412) 016 568 or by replying to this post. Hi I am looking to purchase two U MATIC machines must be the 9000 series, and be player recorders. Hi. 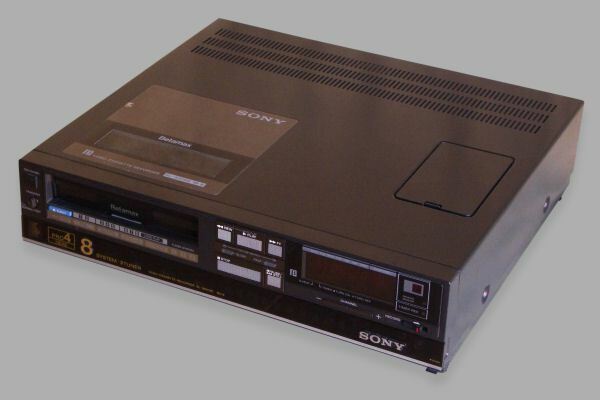 I have a SONY U-Matic Video Cassette Recorder Model V0-5630, a SONY 27" TV Model CVM-2711PS and a SONY Video Camera from the same era along with 100 or so U-Matic Cassettes. These items have been in storage for the past 15 years or so. I am in Gosford (Sydney) NSW Australia. If a collector in the area is interested in picking this kit up for free please let me know. Janelle,Your best bet would be a Sony VO-9800 or 9850. Those machines play all varieties of U-Matic (low band, high band, SP). The tape could have been used to record in any of these formats.Are there any markings on the tape to indicate if it is PAL, NTSC or SECAM? Taht could be the next problem. But if you know that the tape was recorded locally, changes are that a machine you buy locally will work with the tape. Hi.I have a KCA-60XBR video cassette tape. Which player do I need to purchase to play this tape?Thanks. CAN ANBODY SUGGEST A SOURCE OF VIDEO HEADS/DRUMS AND A CIRCUIT DIAGRAM FOR APAL VO5800PS. I AM INTERESTED IN MODERNISING IT,REDUCE THE TAPE SPEED,SEPERATE Y/C INPUTS/ ANDPSUEDO RGB OUTPUTS,POSSIBLY USING CIRCUITY FROM VIDEO SENDERS.THANKING YOU FOR ANY HELP. Hi All, I'm in the market for 2 U-Matic Vtr players, must be PAL output, High Band with a TBC(time base correcor). Please does anybody have any ideas Where I can get purchase any in good condition. Please need is URGENT!!! Hi Leon, Let me try to explain. RF off tape is used for DOC (Drop Out Compensation) in a TBC (Time Base Corrector). A RF out is an output you can connect to the aerial input on your television. It would also show a channel number because you will have to tune your television to a specific channel. You would rarely find that connector on a professional machine for obvious reasons.Finally the 'TV' connector, usually a greenish 8-pin connector, was a left over from early video recorder connections. 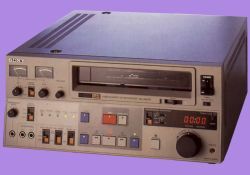 The connector provides both inputs and outputs and allowed a videorecorder to be connected to a specially adapted TV so that you could record 'off air' television. 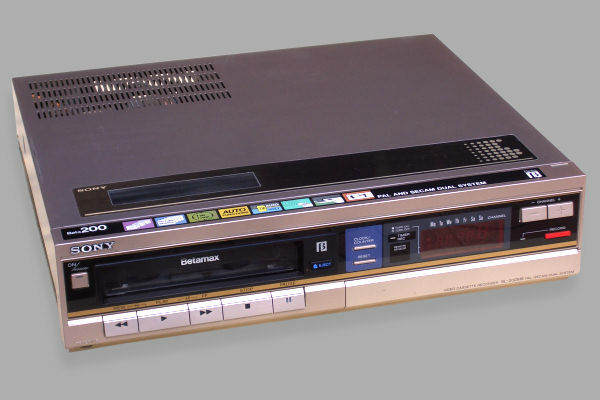 Early model videorecorders didn't have build-in tuners. The connectors stuck around for a while because they were a convenient way to connect a VCR to a monitor, connecting both video and audio signals with one cable. Hello, I have a VP-7040 u matic player that looks like the head needs a clean. Can anybody suggest how? Confusingly, if the 'Standby' light is on it is not ready. What is indicates is that the threading cycle hasn't completed.Try if you can, carefully, to turn the threading ring a little further clockwise. With a bit of luck that should engage the switch and put the machine back in action. Hi All, I 'm trying to back up some old videos and have been loaned a Sony VO9600. It was working fine until today, with a tape loaded inside which was running fine whilst running a test recording/copy onto a DV deck, after stopping the machine and then wanting to start again all the front panel transport control buttons won't work, the tape won't eject, although the standby light is lit. Can anyone give any advice on what to do and where to go from here. Is it possible to manually eject the tape? I have opened it up and had a look inside, but can't see anything obvious... many thanks for any information. Thanks Roderick! I realized right after I posted that I should have asked about machine quality right away! Hi Jodi, I have a service manual for a VO-2630 but only in paper. Hello all- I hope you will forgive some very basic questions from a newbie. I work in a University archives and we have a number of 3/4 inch tapes. While the eventual plan is to transfer material of interest- first we need to figure WHAT is of interest. I just unearthed a Sony VO-2610 and decided to see if it would power up. It does! 1. Does any one have access to a PDF of the manual?2. I got the eject button to work once and only once. Now it lights up but nothing happens. Does anyone have any troubleshooting tips? have vo5800 does anybody know a source of replacement headsor drums. Believe it or not, that little fuse style device ain't a fuse or any type of protection device.... IT IS A 'ELAPSED TIME' READOUT. A column of mercury is placed in a thin cylindrical tube with a gap (bubble) in the fluid, the "fuse" tube in placed in parallel with a voltage (current draw), usually placed in line after the main power switch or in your case of a VCR, maybe placed on a motor voltage input. As the voltage is applied to the Elasped Time Readout, the voltage potential SLOWLY, SLOWLY, causes the the bubble in the column of mercury to move. Each line on the glass tube represents either 100 (or maybe 1000) hours. When the bubble reaches the end of the tube, you simply swap the "fuse" around so that the bubble goes backward (it is polarity sensitive). Usually they would mount the readout in a standard old fashion open fuseholder so that the device could be reused. My V0-5800PS VCR is still not threading properly. P.S. I suspect that something is timing out. I have discovered that if I switch the mains switch on the VCR on and off rapidly when the small tape loop has formed, the threading ring motor comes on for brief instants to inch the threading ring round step by step until I can get the tape loop big enough for the fast forward and reverse to work. However, the ring motor will not come on to drive te ring round to the play position. I think there must be a timing-out problem. Also, I have found a curious fuse-like component (glass with metal caps at each end and 6mm diam by 30 mm long) fitted like a fuse between a couple of clips on a small circuit board near the threading-ring drive motor. The glass is thick and contains a thin (about 1mm diam) column of mercury. Along side the mercury column is a scale marked in divisions 1 to 10. The column of mercury in it is not continuous; it has an empty gap in it about 1 mm long near the 1 division on the scale. Can anyone please tell me what this component does and whether the murcury column should have a break in it?